Central Health provides health and community services to approximately twenty per cent (20%) of Newfoundland and Labrador’s population. It is the province’s second largest health region, serving a population of approximately ninety-four thousand (94,000). The geographical area served by Central Health includes one hundred and seventy-seven (177) communities and encompasses more than half the total landmass of the island. The region covers Charlottetown in the east, Fogo Island in the north, Harbour Breton in the south and Baie Verte in the west. Reporting to the President and CEO, as well as to the Board, Central Health’s VP, Medical Services and Chief of Staff (VP, Medical Services and COS) is responsible for overseeing all medical staffing matters throughout the region and providing the clinical, operational, strategic and cultural leadership as Central Health’s chief physician. 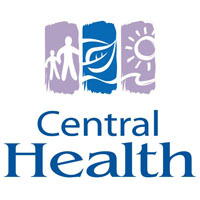 The VP, Medical Services and COS will be required to travel throughout the region while working with partners in Central Health’s leadership, in the development and implementation of strategic and operational planning, budget development and resource utilization. Accountable to the Board for issues of quality of medical diagnosis, care and treatment within the health region, the VP, Medical Services and COS supervises all medical care given to patients, clients and long-term care residents within Central Health, through and with the Department Chiefs. Leading the physician credentialing, privileging and appointment process, the VP, Medical Services and COS advises on metrics related to medical care and manages physician disciplinary issues, as well as Chairs, and oversees, the Medical Advisory Committee (MAC). As the ideal candidate, you are a medical practitioner, licensed and in good standing, or eligible to be licensed, within the College of Physicians and Surgeons of Newfoundland and Labrador. You are a senior physician leader who has gained strategic-level experience in a complex, multi-stakeholder environment. Your stakeholder relationship experiences and superior communication skills forge successful partnerships. You have developed and led innovative programs; you have knowledge of and experience in guiding health quality improvement initiatives; and you have experience working in matrix and team leadership roles and relationships. The next VP, Medical Services and COS will have a demonstrated ability to coach and develop others, build trust, manage conflict and inspire people to pursue quality, safety and innovation in all aspects of their work. You have a demonstrated commitment to continuous improvement, physician engagement and to a diverse, culturally competent and culturally safe work environment. You are committed to person- and family-centered care and you demonstrate strong critical thinking, strategic leadership and a proven ability to build external relationships. You exemplify ethical practices, professionalism and personal integrity. If you’re interested in this opportunity, please contact Robert Fleming at rfleming@kbrs.ca or Beverley Evans at bevans@kbrs.ca or 1-866-822-6022, or please apply online by clicking “Apply Now” on the button below.